Ring size: 1 ½" Diam (unstretched); Charm size: 1 ½" L. approx. 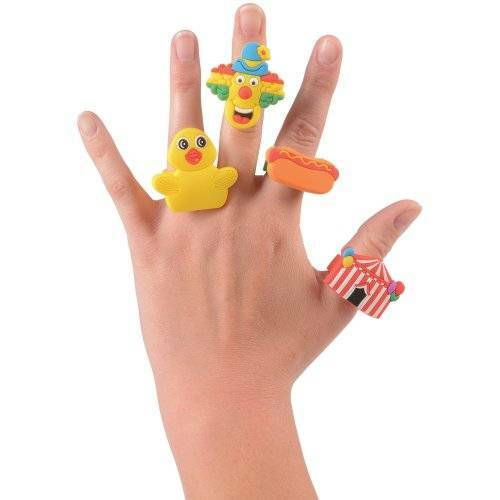 "Clown around" with these carnival-themed rings! 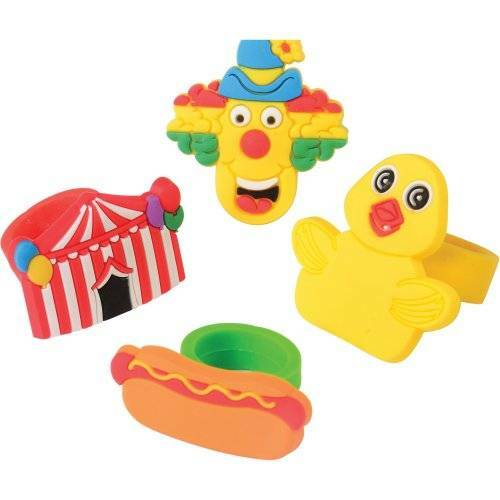 Made of stretchy rubber, these brightly colored novelty jewelry are adorned with a charm depicting a popular carnival theme and make ideal giveaways for your next school carnival or circus-themed event!